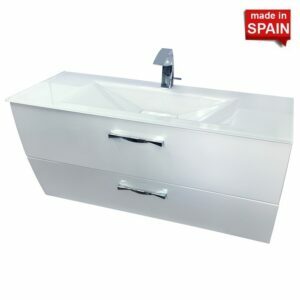 Give your bathroom a glamorous makeover by adding this luxury wall-mounted New Bathroom Style ultra-modern designer Bathroom Vanity. 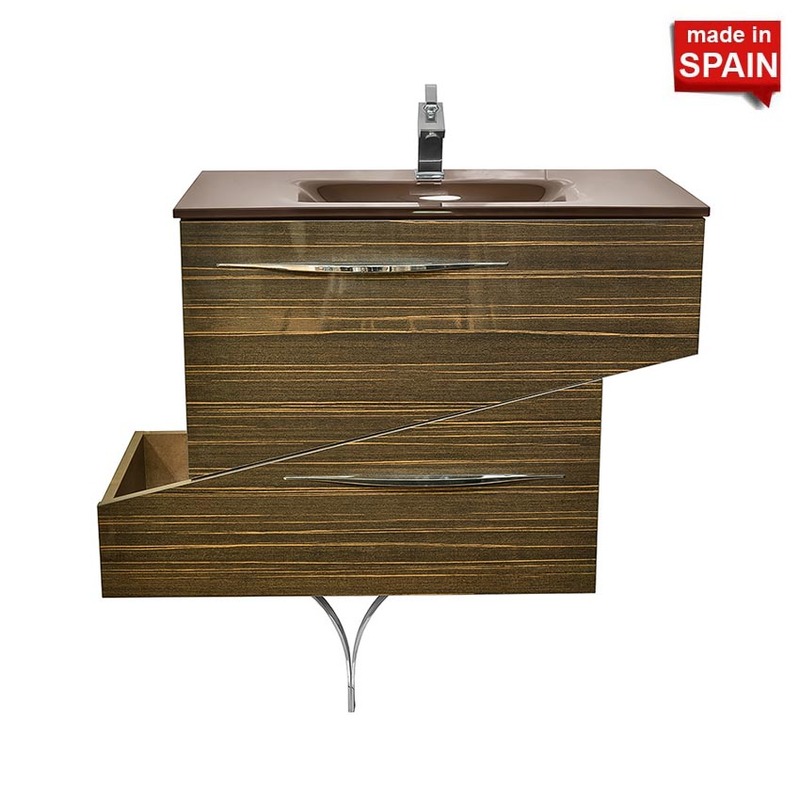 This vanity is made in Spain from the highest quality materials. It’s made from MDF/DT and natural wood. It is of gorgeous glossy brown color with yellow lines in the front. 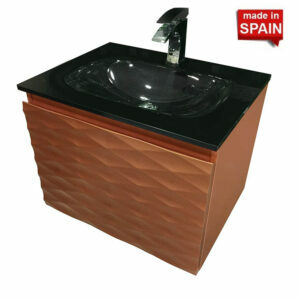 The sides of the vanity are of glossy copper color. Ceramic sink with one hole for the faucet or an optional variety of colored glass sinks creates an eye-catching royal look. All hardware is included. 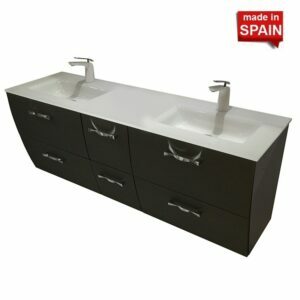 This vanity will look great in modern bathrooms. It is perfect for medium spaces. There are two chrome handles on each drawer. Vanity comes complete with two spacey, self-closing (by a very smooth German mechanism) drawers. 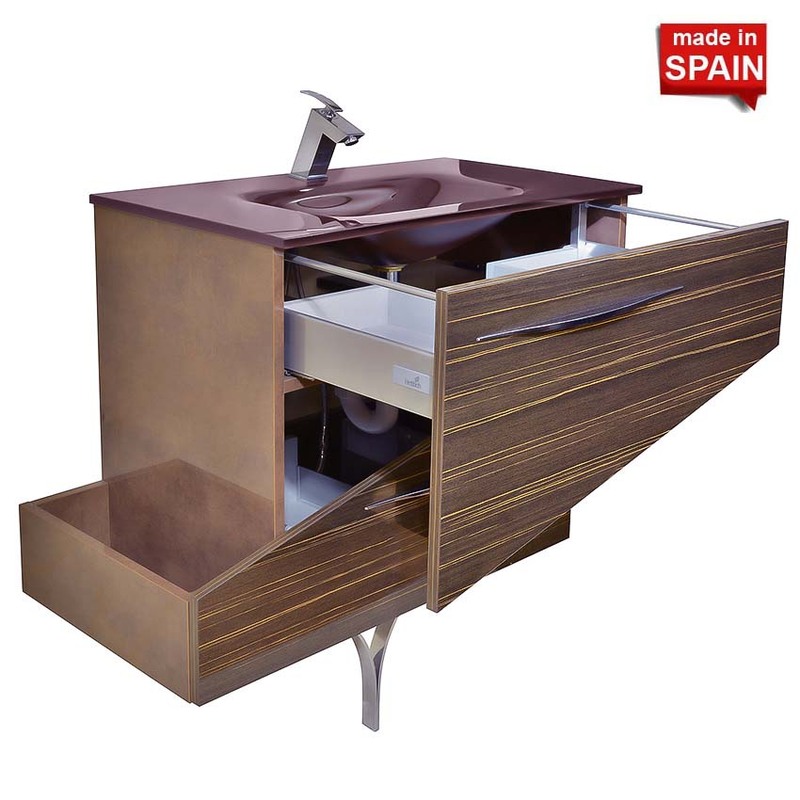 In the two drawers, there is a special empty space for installation of plumbing. We recommend installing legs to support this particular vanity. The leg will make the exterior appearance stand out. This vanity is composed of two parts. One half is shifted to the right angle, while the other half is shifted to the left angle. 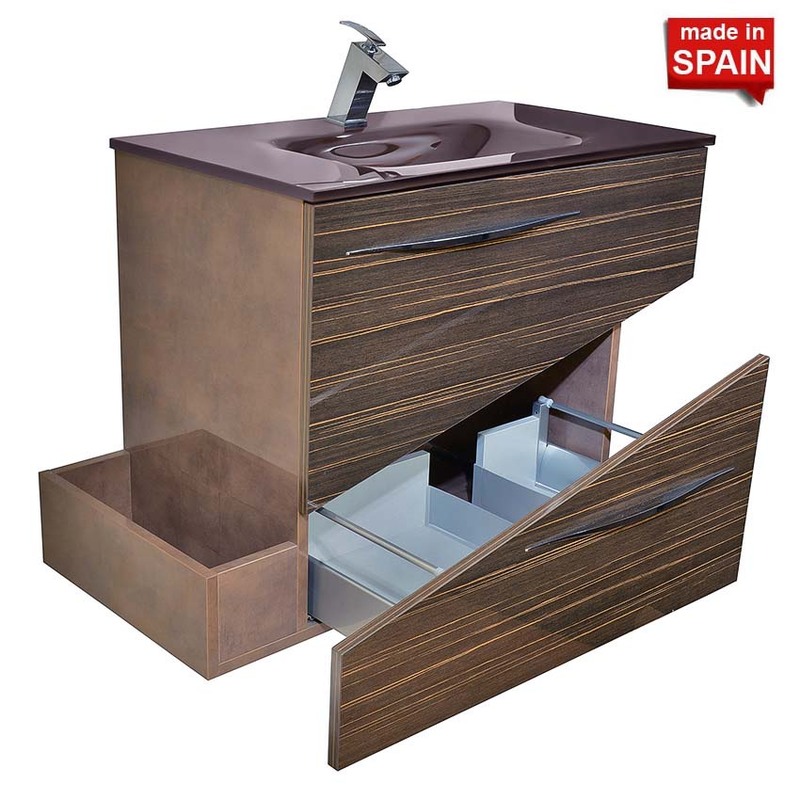 Depending on the options chosen for the vanity, a very convenient open shelf can be positioned to the left or to the right for holding washroom necessities. This vanity model, along with correctly matched tile, will amazingly decorate the bathroom.